I stumbled across this site the other day, and I must say that I really do like FlipQuiz for creating Jeopardy-style review games for the classroom. I know, I know, I know…you already have PowerPoint templates for this. So do I. But…this site is honestly just – well – it’s easier. And prettier. I like the way the questions appear large & in charge on the screen. You quickly customize your questions and answers. It’s web-based, so it’s available on any computer. Once you set up a free account, your projects are stored online at the site forever…to use year after year. FlipQuiz is free, but they have a paid option. Here’s my advice…use the free version at first, and use it a lot. Once you and your students are very familiar with it, you’ll just know if you need to even consider going to that paid version. So what do you get for the ‘pro version’? Well, there are a few perks, but they’re not for everyone, and the free version is honestly pretty good by itself. The first paid perk is that it’ll keep team scores for you, but I feel like I can easily do that on my own without paying. Honestly, my favorite “pro” feature is that you can insert images as part of the question. Click here to find out about the other paid features. 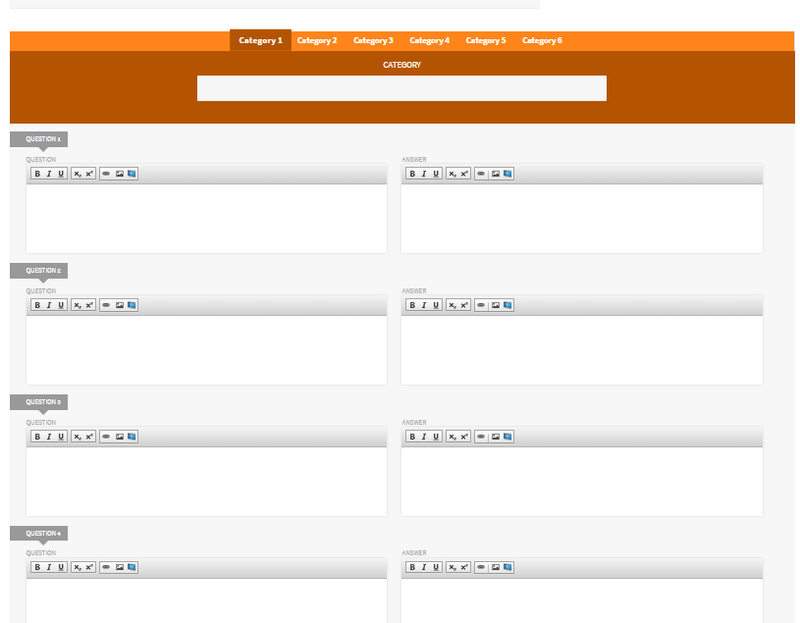 I tried to take a screenshot of the inital “create your own” page. It will look pretty small on your screen, but if you can enlarge or zoom, you’ll see how very easy FlipQuiz is! That’s pretty much it. It’s basic. It’s crazy-easy. It’s a fun way to review. It’s free. I can’t think of a single reason for you not to add FlipQuiz to your handy-dandy teacher tech toolbox! ****As always, I really do love to hear your thoughts. Is anyone using this? Are the results positive or negative? Please share this post by “sharing” on Facebook, retweeting on Twitter, +1 or sharing it in Google Plus, following “My Primary Techspiration” blog, or just email it to a few buds! And hey…thank you so much!